KEN YUSZKUS/Staff photo. 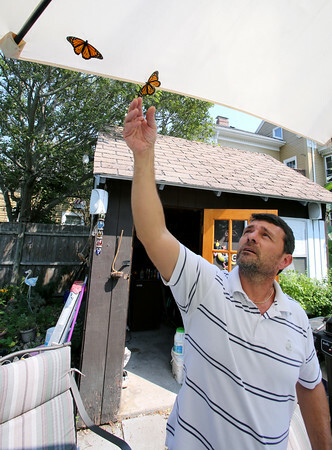 Dwayne Taylor lets two monarch butterflies loose in his back yard by attaching them to the underside of an umbrella. 9/2/15.